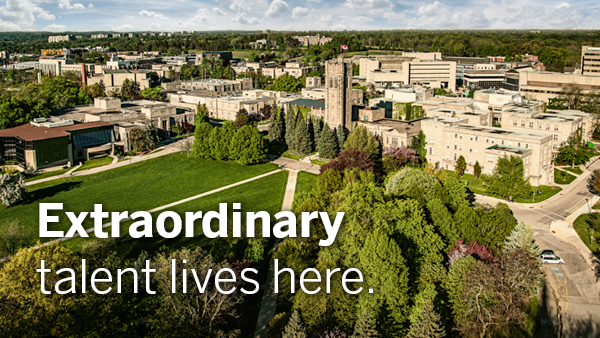 Connect directly with Western's extraordinary student talent by hosting an on-campus information session. These sessions provide an interactive venue for a short presentation about your organization, followed by networking with the students who share your passion for your industry. Information sessions put you directly in front of Western students, allowing you to build your brand and make meaningful connections with the talent that will drive the future success of your organization. We take care of the event logistics and promotion on your behalf, so you can focus on recruiting our extraordinary students. We recommend that your session include a 15-20 minute presentation, followed by networking. If possible, we encourage you to bring staff that are Western alumni to speak, as students very much identify and connect with them. Please note: The Student Success Centre will do their best to provide an accurate and up-to-date information on the number of students registered for your session. However, we cannot assume responsibility for student attendance at your event. Turn right onto Lambton Drive (off of Western Road), continue around the circle and proceed to the Weldon Lot to park. Each Information Session includes parking for 3 vehicles at no additional cost. Each additional vehicle is subject to a $8 fee which will appear on your final invoice. To obtain access to the parking lot simply provide the parking attendant with your name. We will have notified parking of your arrival in advance of your session. Your event is posted on CareerCentral (Western’s online job posting and event database). E-mail notifications are sent to relevant faculties who distribute information about your session directly to students. Ship physical posters to our attention and we can distribute them to our faculty partners. A colour poster, on 11”x17” paper is recommended. Alternatively, we can forward electronic copies of your poster to our faculty partners. This service is provided at no additional charge. Below are a few additional outlets through which you may wish to promote your information session. Poster Patrol is a service offered by the University Students' Council that will place your poster in high volume areas. The cost to have thirty-five of your 8.5/11 posters approved and distributed across campus for one week is approximately $141.25 (additional weeks are $100 each). If you are interested please contact Creative Services at 519.661.3578. Don’t forget that many students will be searching for jobs on CareerCentral. Consider posting the position you are recruiting for in advance to deepen their interest and engagement with your organization. It’s a great idea to include a description of your company with links to your website, as well as the detailed information about your session once it has been confirmed. The Gazette is Western’s student newspaper. 11,000 copies are distributed across campus, four days a week. Advertisements begin at $60. To advertise your upcoming information session, please contact The Gazette at 519-661-3579 or adoffice@uwo.ca. Another method of advertising is through the on-campus student-run radio station. Please contact Radio Western directly. If your organization has a Facebook page or Twitter feed, we encourage you to advertise your Information Session there! We coordinate and support your session, so you can focus on promoting your organization and meeting our extraordinary students. We book your space, reserve your parking, and connect you with our campus catering services. We manage on-campus promotion, and are on-site to collect registration and provide support during your event. "At Bell, we are committed to finding and developing the next generation of leaders. Our experience recruiting at Western has been very positive. Thank you for the planning and support you provided to our team. We received complimentary feedback on the seamlessness of hosting a session at Western and our team was impressed by the quality of the students who we interacted with. We look forward to our continued partnership with Western."